-SG- In September we had a posting about Norton's mid-twenties successes in the Maudes Trophy. 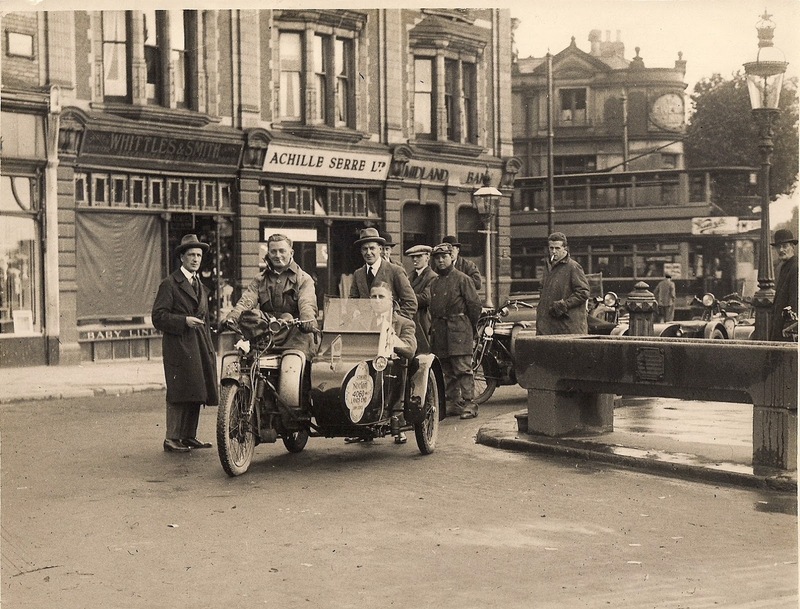 Ian has kindly loaned a photo of the outfit used in their 1924 attempt, showing Phil Pike on the bike (a Big Four), and Arthur Bourne in the chair as the official ACU Observer. Like a lot of Norton's own publicity photos, this one was taken by Birmingham photographer F R Logan. 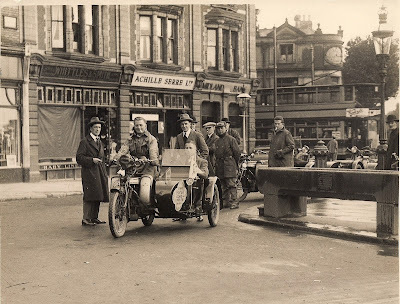 Wonder if his negatives have survived ... Arthur Bourne went on to become Editor of Motor Cycle and his memoirs should have been published earlier this month. West Country dealer Phil Pike sadly died as a result of an air raid during WW2.